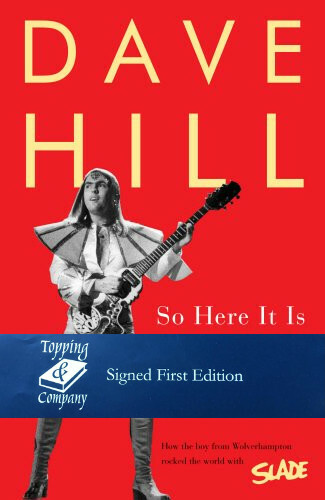 A heartwarming, humorous and revealing memoir from 70s rock icon, Dave Hill. So Here It Is reveals that there’s much more to Dave’s life than Top of the Pops and good times. Packed with previously unseen personal photos, the book uncovers surprising family secrets, tells the inside story of the original band’s painful break-up, explores Dave’s battles with depression, his decision to reform Slade and go back on the road and his recovery from the stroke that threatened to cut short his career.